The RF*IDI Active RFID Tracking Reader application is written in C++ for high performance, runs on mainstream Windows operating systems and interfaces with various RFID readers. The application filters and translates real-time reader data and catalogs this data into a local relational database management system. The application can run unattended on an embedded computer linked to the fixed reader, forwarding data at programmed intervals to a server database, or can run in a mobile environment, either stand-alone or linked to a server database. 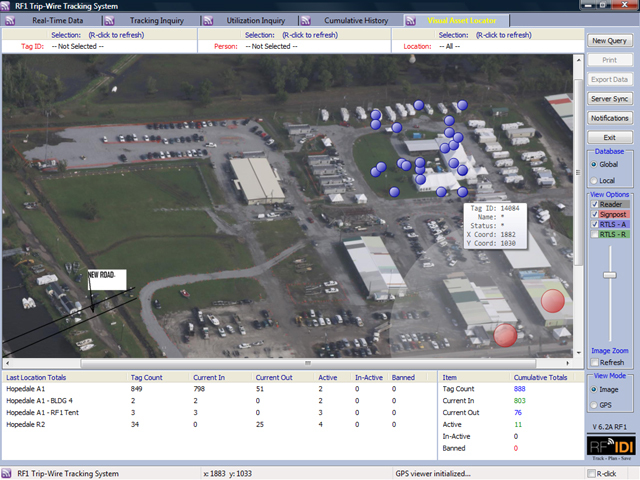 When used as a mobile RFID tracking solution, manifest data associated with an asset can be linked to a unique tag ID. 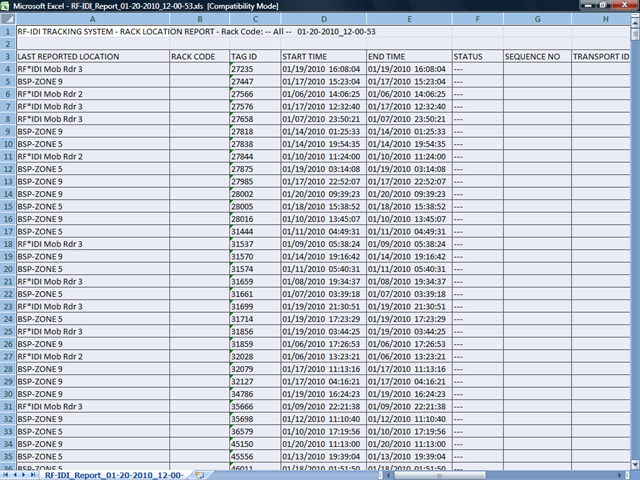 Other information relative to the asset can be written or viewed directly. A tracking screen enables searching for an asset's last known status, using a database structured according to your business model. Assets traveling in a closed loop can be monitored for the number of loops completed, number of times a loop was completed, but not within a given timeframe and number of times an asset traveled out of the loop sequence. 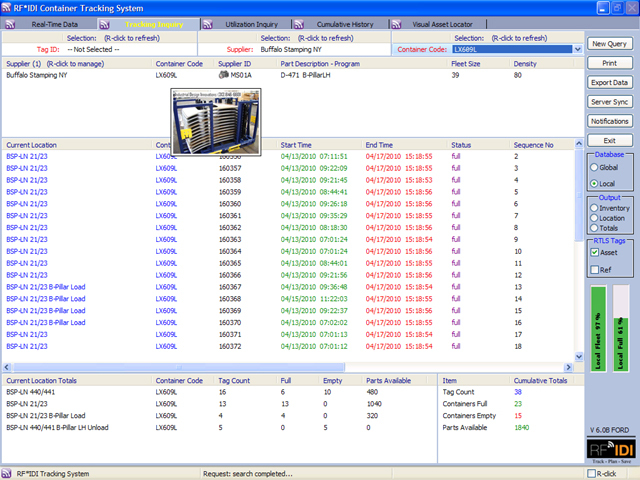 Using infra-red (IR) tracking, location related events like "a container has entered a load station", enable real-time calculation of parts inventories and FIFO (first-in, first-out) tracking. Data can be queried either locally, or directly from the server for all locations where a server link is available and then, output to a printer or electronic spreadsheet for use in other applications. 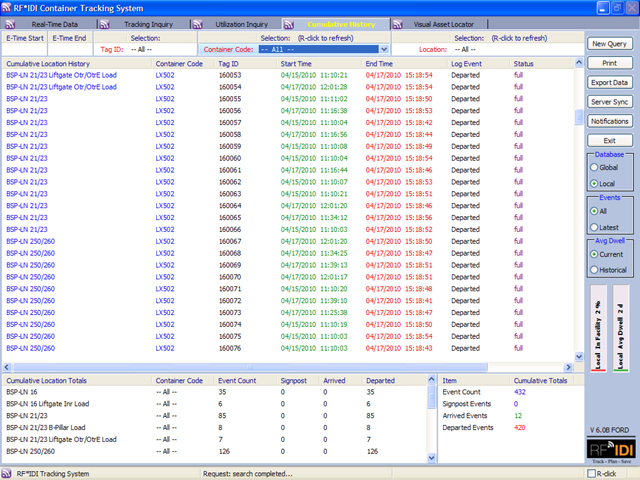 A log screen enables searching for the entire event history of a given container / asset. 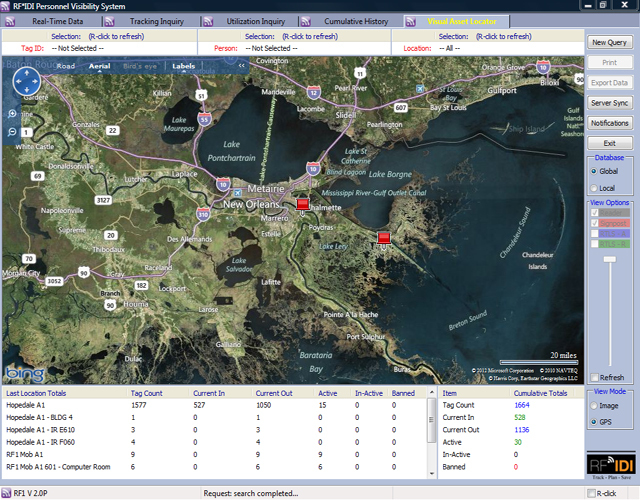 Cumulative server data from all locations in a container path enables report generation to support analysis of average travel time between locations, identification of "lost" containers, as well as under-utilized containers. A key strength of the RF*IDI Active RFID Tracking solution is the ability to deliver powerful data with minimal infrastructure requirements. A key barrier with many tracking systems is the cost and complexity of actually getting the system installed and operational. Integration of our server database design into existing business reporting systems is possible, given the standards-based, enterprise-class relational database management system used, but this step is not necessary to put data into your hands that could change the way you do business! RF*IDI can host the server database and provide access to a web application, making your infrastructure requirements nothing more than internet access and 120VAC. Both the RF*IDI reader application and web application have built-in reporting capability in the form of a customizable electronic spreadsheet that is easily imported into any mainstream business application. Or, output directly to a printer for quick sharing of data at those impromptu meetings. The RF*IDI reader application can display reader and infra-red zones visually through facility maps or high resolution overhead photos. All visual locations are scrollable and zoomable. For RF*IDI readers equipped with cellular broadband and GPS, assets never go dark. GPS location updates are reported to a global server every 5-15 minutes. Know where your assets are even when they are in transit, away from fixed infrastructure. 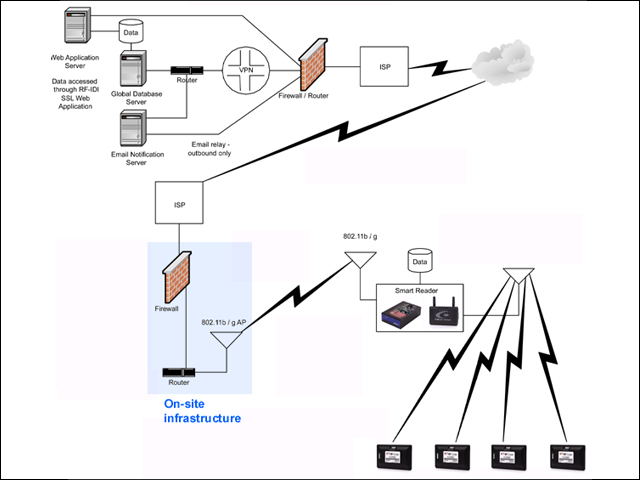 The RF*IDI web application connects your desk to a server database containing data uploaded from all RF reader locations deployed anywhere in the world with access to the internet. 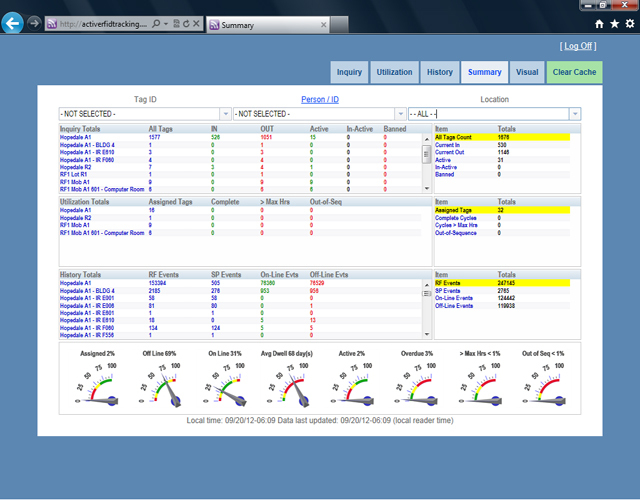 Access all the searchability and reporting capability, just by navigating to a web address and logging in. Fully automated, near real-time updates are available every 15 minutes. 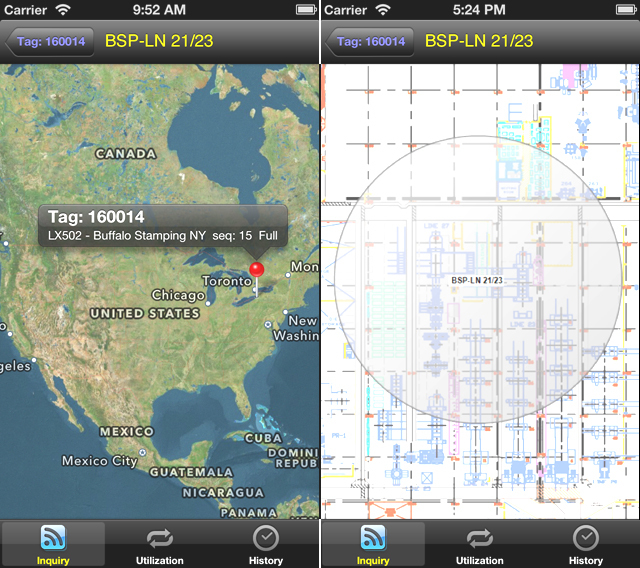 Acess data from anywhere with the RF*IDI iPhone app. 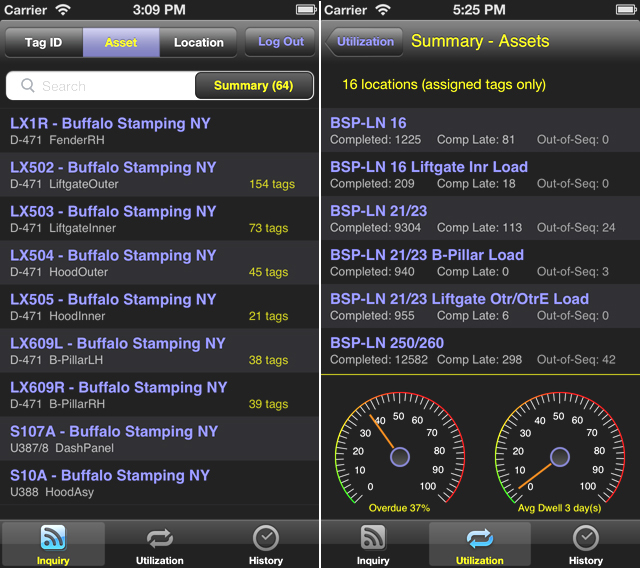 Secure data access means that you can quickly get critical answers relative to your assets.